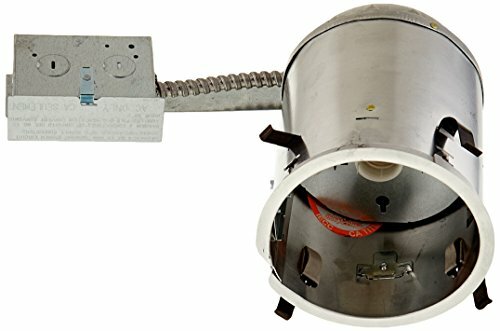 Halo, 5", Recessed Remodel Housing, 7"H x 5-1/2" Opening, Integral Thermal Protected Air-Tite, For Insulated Ceilings & Direct Contact With Insulation, Adjustable Socket Bracket, Junction Box Listed For Through Branch Circuit Wiring, 7 Each 1/2" Knock Outs, 4 Each Romex Knock Outs With Pry Out Slots & Strain Relief, 4 Remodel Clips Accommodate 1/2" & 5/8" Ceiling Material, Damp Location, Feed Through, UL Listed. This product adds a great value. product is highly durable and very easy to use. This product is manufactured in China.